We Rock the Spectrum Kid’s Gym was founded to provide a place for children of all ability levels to play and grow together. 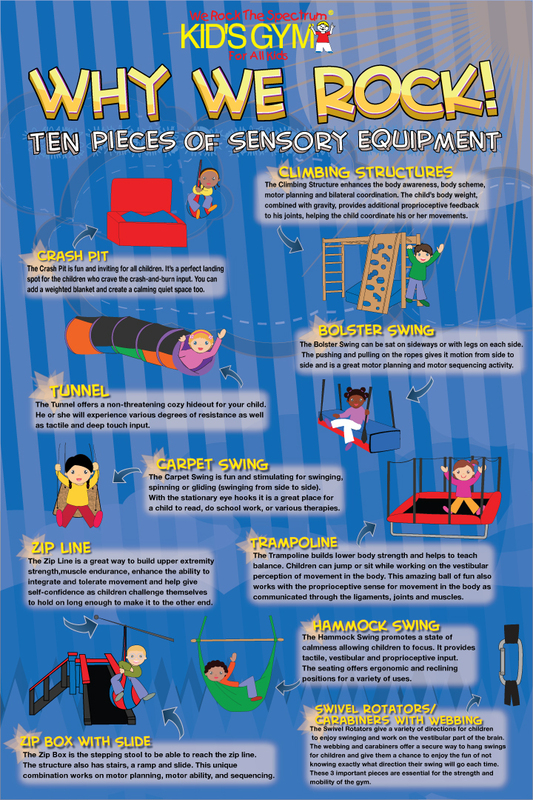 As the only kids gym that offers an inclusive philosophy we have found all children can benefit from our uniquely designed sensory equipment that is specifically designed to aid children with sensory processing disorders. However, in our experience, all children are able to benefit greatly from this equipment and by allowing children of all ability levels to play together they are able to learn a great deal from each other and become the best motivation for success on every level.